Home / Celebrities Gist / Lifestyle / RELATIONSHIP-ISSUES-AND-18PLUS / "Dad make sure you marry her, She’s a keeper". And I did - JJC Revealed How His Daughter Convinced Him To Marry Funke Akindele"
"Dad make sure you marry her, She’s a keeper". 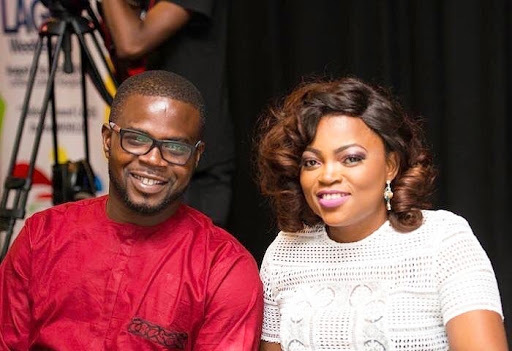 And I did - JJC Revealed How His Daughter Convinced Him To Marry Funke Akindele"
Funke Akindele's husband, Abdulrasheed Bello, popularly known as JJC Skillz spoke on how one of his daughters convinced him to marry the beautiful actress, Funke Akindele. He also spoke about how his children with other women have accepted Funke as his partner. "Funke is also very close to them, they met her digital first. They didn’t know she was an actress then, because in the UK, they hardly watch Nigerian movies, but they love her so much. They all love each other. It’s a perfect blend. I remember my daughter telling me ‘Dad make sure you marry her. She’s a keeper”. And I did, I followed my daughter’s advice. One of my songs, Save The Last Dance’ was written for my wife, she really saved the last dance for me”.